The Governor of the Central Bank of Nigeria (CBN), Mr Godwin Emefiele, says the apex bank will continue to come up with policies to strengthen the naira. 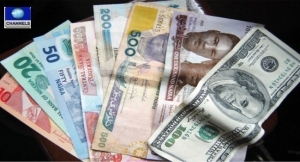 The CBN Governor added that he expects the naira to stabilise while inflationary pressure is expected to reduce. He made the remarks on Tuesday at the first Monetary Policy Committee meeting for the year in Abuja, the nation’s capital. At the meeting to evaluate the economy’s performance in the last quarter of 2016, Mr Emefiele gave an overview of the international market and how it has affected the domestic economy. He noted that the apex bank would come up with policies to increase Nigeria’s foreign reserve which currently stands at $28.9 billion. The apex bank governor also assured Nigerians of a more resilient economy in 2017 which he said would be driven by agriculture and diversification of the economy. He added that the bank would make the foreign exchange available for manufacturers and other businesses.